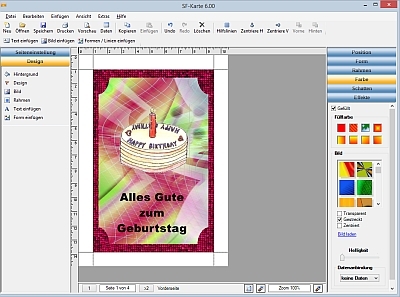 SF Karte 7.00 無料ダウンロード - SF card prints various types of greeting cards, certificates, signs, etc. SF card prints various types of greeting cards, certificates, signs, etc. With just a few clicks, challenging cards are created. For a professional follow-up comfortable and extensive functions are available. The maps can also be exported as an image file or mail.